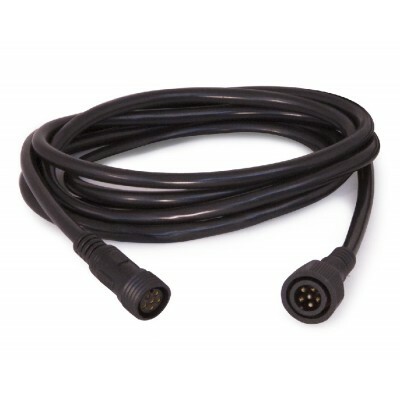 This 6-pin 20' extension cord is designed ONLY to connect SOLCC2 or SOLCC6 LED color changing lighting systems to the SOLCCMX3 Color Changing Control Module. Also works for the SOLCCR Color Changing Light Ring to the SOLCCMX3 Control Module. Extend the reach of your spotlights with these 20' extension cords.Use ONLY with the SOLCC2, SOLCC6 and the SOLCCR light ring. Traditional LED lighting 2-pin extensions are available here.